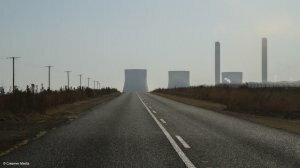 A new report into South Africa’s coal sector argues that any subsidies set aside for the country’s “inevitable” transition away from coal in electricity production should be tailored to protect workers, their dependants and communities, rather than Eskom, or the coal sector as a whole. Published by the University of Cape Town’s Energy Research Centre (ERC), the study warns that the domestic coal industry is in crisis, owing to environmental pressures, as well as a loss of competitiveness. Eskom’s coal costs have increased by 300% in real terms over the past 20 years, the ‘Coal Transition in South Africa’ report shows. At the same time, the cost of new renewable-energy capacity has fallen to levels where it “is now considerably cheaper on a levelised cost and system basis than either new Eskom coal-fired power plants (under construction) or proposed privately owned coal plants”. The rise in coal costs, coupled with cost overruns and delays at Medupi and Kusile, have placed Eskom under intense financial pressure, despite dramatic increases in electricity tariffs since 2007. Using 2018 prices, the Eskom tariff has increased from less than 40c/kWh to close to 90c/kWh over the period. “Coal is no longer a cheap and bountiful resource that can ensure security of supply for Eskom power plants. As the trends already show, closures of plants and mines are inevitable – the question is not if closures will happen, but when,” the authors state. What matters, ERC principal researcher Jesse Burton argues, is how the Department of Energy (DoE) and related Ministries “deal with the inevitable”. The DoE’s draft Integrated Resource Plan (IRP 2018) also forecasts a fall in the role of coal in South Africa's electricity mix to 2030, despite making a policy adjustment to cater for 1 000 MW of new coal from two independent power producers. Should the new capacity be introduced as envisaged in the draft IRP 2018, South Africa's electricity system will comprise the following mix of generation sources by 2030: 34 000 MW of coal (46%); 1 860 MW of nuclear (2.5%); 4 696 MW of hydro (6%); 2 912 MW of pumped storage (4%); 7 958 MW of solar PV (10%); 11 442 MW of wind (15%); 11 930 MW of gas (16%) and 600 MW of concentrated solar power (1%). Such a mix would represent a marked change from the current system, whereby coal-fired generators comprise around 90% of the mix. The fall in the dominance of coal by 2030 is premised on the decommissioning of several old coal plants. The IRP 2018 assumes that 28 GW of coal-fired capacity will be decommissioned by 2040 and 35 GW by 2050. Coal jobs are lost under all scenarios tested in the ERC study, including one that models a gradual decline through the retirement of existing power-station capacity according to an assumed 50-year life. However, the pace at which jobs are lost is even faster under scenarios where South Africa moves to meet its ‘low’ peak-plateau-decline emissions trajectory, in line with what the report calls a ‘2°C compatible transition’. Even under the gradual scenario, employment in coal mining is expected to decrease by 28 200 workers by 2050, when compared with the 78 000 workers employed in the sector in 2015. However, the economic results in the study show that it is possible to both meet climate change targets and grow the economy, with large investments in new renewable energy having positive cost and employment spin-offs. In fact, the net job effects of a large scale roll-out of solar and wind are positive. Nevertheless, there are risks for workers at coal-fired stations, mines, and the communities that depend on these assets “if there is no orderly and properly resourced transition”. The fact that South Africa’s coal-fired stations and mines are concentrated in the Mpumalanga province poses a particular threat to socioeconomic stability in the region. “Evidence from previous transitions, from this study, and from recent coal sector trends suggests that unless supported, the effects on Mpumalanga’s, and to a lesser extent, Limpopo’s, coal workforce are serious,” the authors caution. They add that, while subsidies for Eskom are an option, the ability of the State to continue to prop Eskom up is limited, and the money would, thus, be better spent in supporting workers and regional development initiatives to diversify the structure of the Mpumalanga economy to make it more robust. The study was completed by Burton, together with Tara Caetano and Bryce McCall as part of a global report into coal transition strategies around the world. The initiative is being coordinated by French energy think tank The Institute for Sustainable Development and International Relations, and Climate Strategies.